This 1948 photo shows 11th Avenue in downtown Altoona. It was submitted by Richard Heiler of Altoona. According to a local historian, the truck in the middle of the photo traveled to area ballgames and around Tipton, selling peanuts and popcorn. Readers are encouraged to send or deliver old local photographs of general interest for use in Yesteryear. Information about people and places should be included. Photos must be 30 years old or older and should be sent to Yesteryear, Altoona Mirror, P.O. Box 2008, Altoona, PA 16603, or delivered to the Editorial Department. 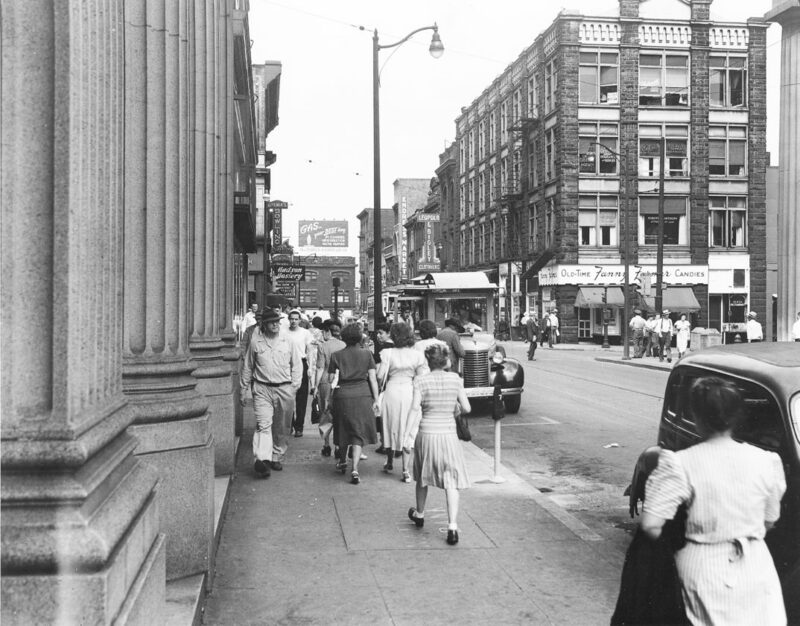 This 1948 photo shows 11th Avenue in downtown Altoona. It was submitted by Richard Heiler of Altoona. According to a local historian, the truck in the middle of the photo traveled to area ballgames and around Tipton, selling peanuts and popcorn.